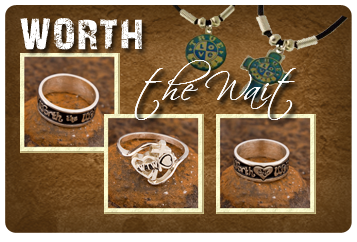 Worth The Wait offers Purity Rings, Christian Purity Jewelry, Abstinence Necklaces and Christian Themed Purity T-Shirts as well as Christian Abstinence Teaching Materials. 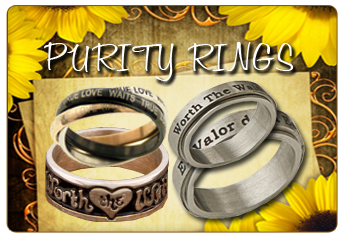 Purity Rings and Abstinence Bands for young men and women making commitments to purity and abstinence and declaring it is worth the wait with Christian Purity Jewelry and Purity Themed T-Shirts. Worth The Wait Ministries promotes sexual abstinence until marriage by conducting abstinence commitment services in local churches, public schools, retreats, seminars, youth rallies, camps and conferences. Worth The Wait has everything you need for a memorable and life-changing sexual purity and abstinence program, including strategies, curriculum, parent programs, rings, and promotional products. Join Our Worth The Wait Student Newsletter Email List!